At 4th level, a myrmidarch can use spellstrike to cast a single-target touch attack ranged spell and deliver it through a ranged weapon attack. Even if the spell can normally affect multiple targets, only a single missile, ray, or effect accompanies the attack. At 11th level, a myrmidarch using a multiple-target spell with this ability may deliver one ray or line of effect with each attack when using a full-attack action, up to the maximum allowed by the spell (in the case of ray effects). Any effects not used in the round the spell is cast are lost. I guess I'm having a hard time rationalizing between RAW and the theater of the mind's eye - can you make a "ranged weapon attack" without using ammunition? I guess, the question is, are you shooting your spell through your weapon, or are you putting your spell on your ammunition? To "deliver the spell through a ranged weapon attack", you have to actually make a ranged weapon attack. Making a ranged weapon attack expends ammunition appropriate to the weapon in use. You also get any other effects of the weapon attack, most notably the weapon's basic damage. The spell's effect is an add-on to that weapon attack, not a replacement. [C]an you make a "ranged weapon attack" without using ammunition? You can certainly make a ranged weapon attack without any ammunition - throwing a weapon as an improvised ranged weapon would satisfy the "ranged weapon attack" required to utilize ranged spellstrike. [A]re you shooting your spell through your weapon, or are you putting your spell on your ammunition? In terms of answering "what is happening," it appears the Myrmidarch imbues either the ammunition or the weapon that is about to be used with the spell, and if there are multiple available targets for the spell and the Myrmidarch is at least 11th level, it would be able to imbue multiple units of ammunition. Note that, for the most part, this means a Myrmidarch Magus will be most effective using a bow to accomplish iterative ranged attacks for which ranged spellstrike may be applied. 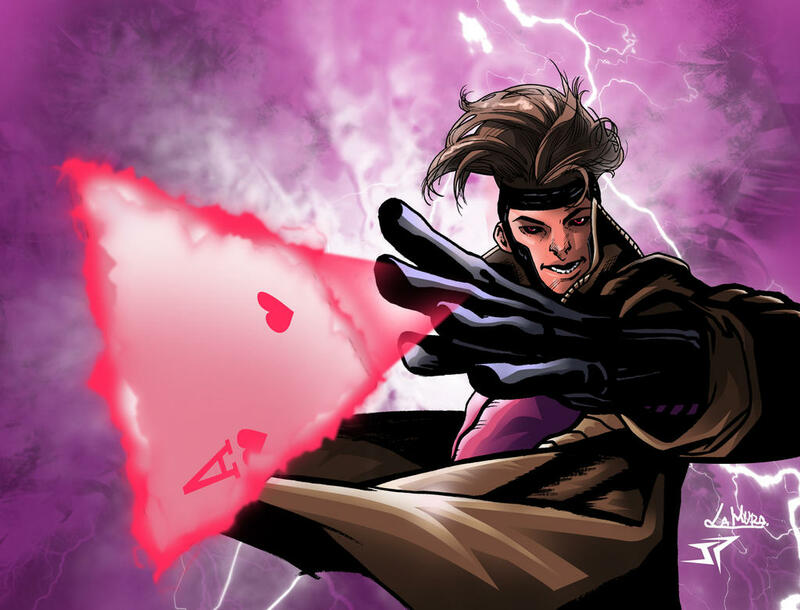 A character with quick draw who also takes the feats arcane strike and deadly dealer would be able to throw playing cards as if they were darts - with the same range and damage, and be able to make his full number of iterative attacks at range, with thrown weapons. As a full round, a sufficiently high level Myrmidarch Magus might cast a deadly spell, imbuing a few playing cards with, say, scorching ray, and follow that up with a trio of surprisingly damaging playing cards(!) - hopefully that helps you see what's happening in the theater of the mind's eye. Not the answer you're looking for? Browse other questions tagged pathfinder spells ranged-attack magus or ask your own question. Can the Hydraulic Push Spell be used in conjunction with Ranged Spellstrike?